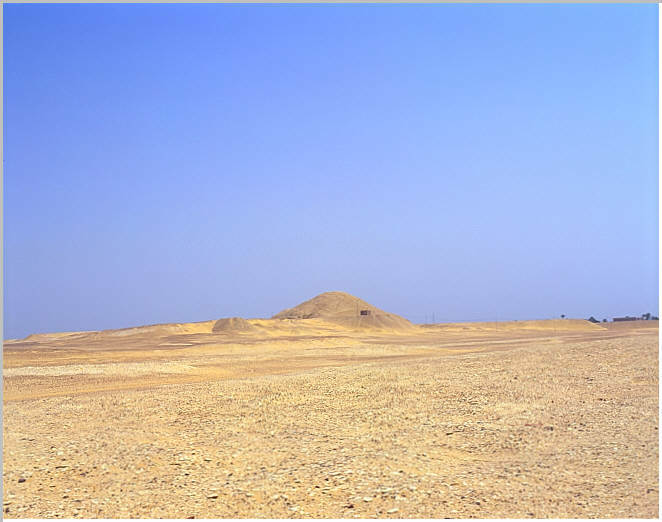 Two desert views of Amenmehet I's pyramid looking north. 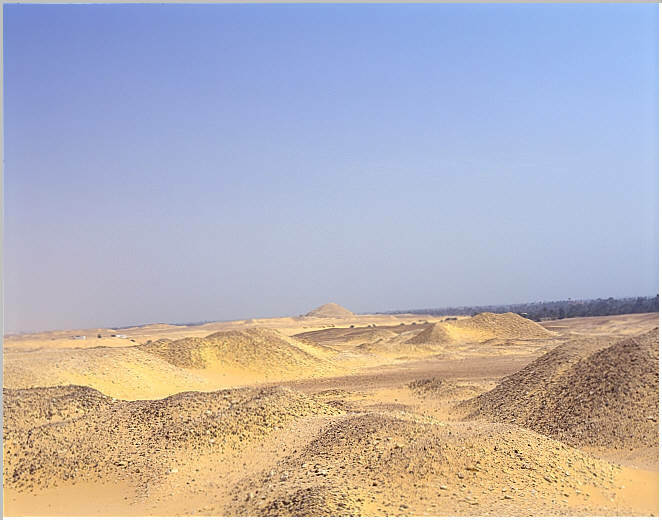 The pyramid of Amenemhet I, seen from the pyramid of Senwosret I. The Nile valley is visible in the far background. Amenemhet I pyramid, looking north from the archaeological house.